 Etz Hayyim Synagogue Hania | Tuesday, July 11, 8 pm | The reading will be in English. Adele Graf grew up outside New York City and immigrated to Canada in 1968. She has worked as a writer and editor, and taught writing in the public and private sectors in Halifax and Ottawa. 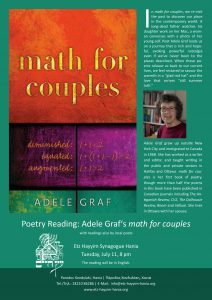 math for couples is her first book of poetry, though more than half the poems in this book have been published in Canadian journals including The Antigonish Review, CV2, The Dalhousie Review, Room and Vallum. She lives in Ottawa with her spouse.